An invasive plant is a plant that is non-native to the ecosystem under consideration, and whose introduction is likely to cause economic or environmental harm, or harm to human health. Invasive plants harm California’s environment and economy in many ways. They can overtake crops or rangeland; harm wildlife by eliminating plants they need for food and shelter; clog waterways used for commerce or recreation; and increase fire hazards and flood risk. There is no shortage of superior alternatives. The vast majority of garden plants are well behaved and will never become an invasive problem. Our plant list includes several suggested alternatives for each invasive plant. Be a part of the solution by planting right. Whether you are a retail nursery, grower, landscape professional, or home gardener — everyone can play a critical role in preventing the spread of invasive plants. From our original invasive plant list of 19 species, just seven are still commonly available for retail sale in California. When you avoid buying these plants, you help protect California’s environment for recreation, farming, and wildlife. Below are just a few of the plants PlantRight recommends in place of similar but invasive plants. Click any photo to learn more about that plant. Our invasive plant list and provides links to many more suitable alternatives, and we have compiled them into a page of better choices for your landscape. If you are looking for California native plants in particular, you can also search Calscape to find plants suited to your location and where you can buy them. 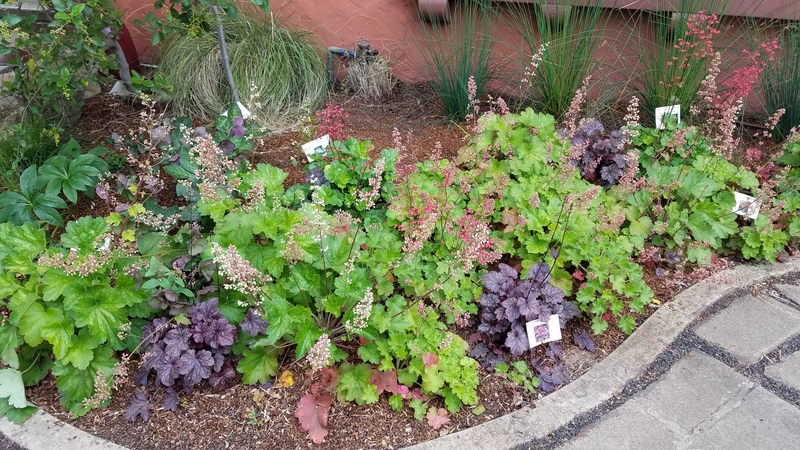 “Retailers across the country should embrace these types of efforts.” — Dave Stoner, President & CEO, Sloat Garden Center, Inc.
PlantRight partners with retail nurseries of all types and sizes to prevent the spread of invasive plants. Whether you’re an independent shop, a small chain, or a nationwide retailer, you can be part of PlantRight’s effort to protect California from the harmful effect of invasive plants. Buying plants for outdoor use? When you shop with a PlantRight retail nursery partner, you don’t have to worry — our partners have agreed not to sell any plants on our priority invasive plants list, so you can feel good about buying any plant you find. PlantRight has been a part of removing more than a dozen highly invasive plants from retail stores across California, helping prevent their spread and reintroduction into natural areas. See the list of "retired" plants here. Help us retire more plants! PlantRight relies on volunteers to check for invasive plants for sale in California nurseries every spring. Volunteering is easy, fun, and a great way to help protect on California’s landscape. Increase your knowledge of horticultural invasive plants in California and learn how to become part of the solution. Our Continuing Education program is designed for individuals with a range of existing knowledge. You’ll earn Continuing Education Credit from participating groups; for example, all CCN Pros earn 1 Continuing Education Unit. There are three steps to earning your Continuing Education certificate. Create an account — it’s quick and easy! Then be sure to check our Educational Materials and Resources page for more information about invasive plants and sustainable landscaping. Feedback on our new website? Contact us and let us know. PlantRight is a project of Sustainable Conservation, a California-based environmental nonprofit. Sustainable Conservation helps our Golden State thrive by uniting people to solve the toughest challenges facing our land, air, and water.